Save money on your order fulfillment process when you turn to the experts at En-Ovations, Inc. We offer cost-effective solutions that enable our clients to efficiently operate their business. 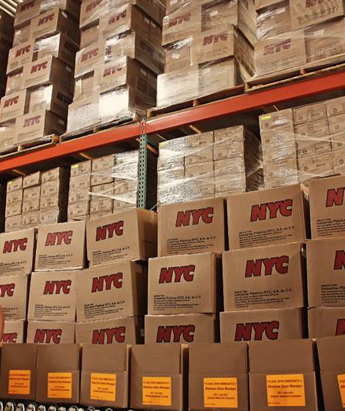 Our one-stop, turnkey solutions ensure you deliver your products in a timely manner. By providing monitoring, tracking, and reporting for our clients, we effectively improve their inventory and order management. Our services help develop and support your scalable IT and material handling resources. Companies count on us because we always strive to stay head of the curve. As technology improves and the industry trends change, our customers are not required to update software, hire new staff, or be continually frustrated with the ever changing shipping laws and regulations. With us as your fulfillment partner, in turn, our clients are able to focus on their core competencies to maximize their internal work flow allowing them to maintain a competitive edge in the marketplace. Using state-of-the-art technologies, we allow rapid communications and information to be readily available to our clients at the click of a button, dramatically altering the methods of manufacturing, marketing, and purchasing their products and inventory. Between the competition for market share and demand for lower costs and rapid product improvements and development, we're able to expand our products and services to support creative distribution methods.